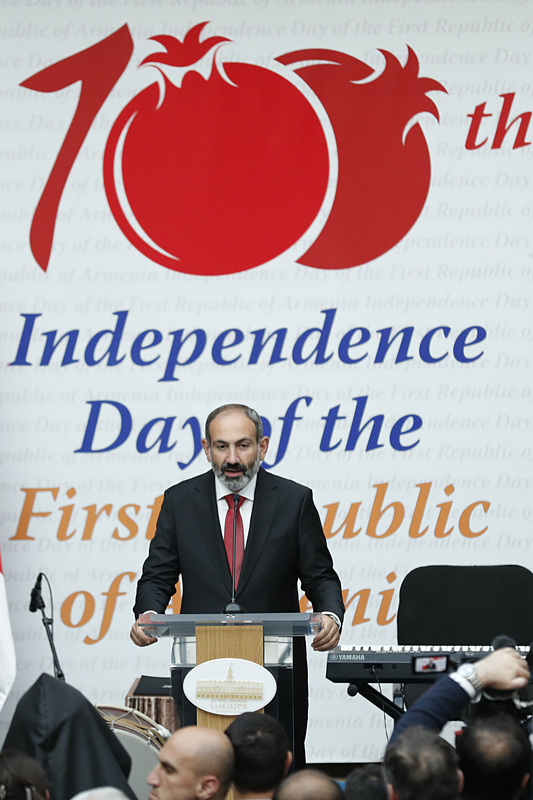 Attended by Prime Minister Nikol Pashinyan, a memorial plaque dedicated to the 100th anniversary of declaration of independence of the First Armenian Republic was unveiled at the Youth House of Tbilisi. 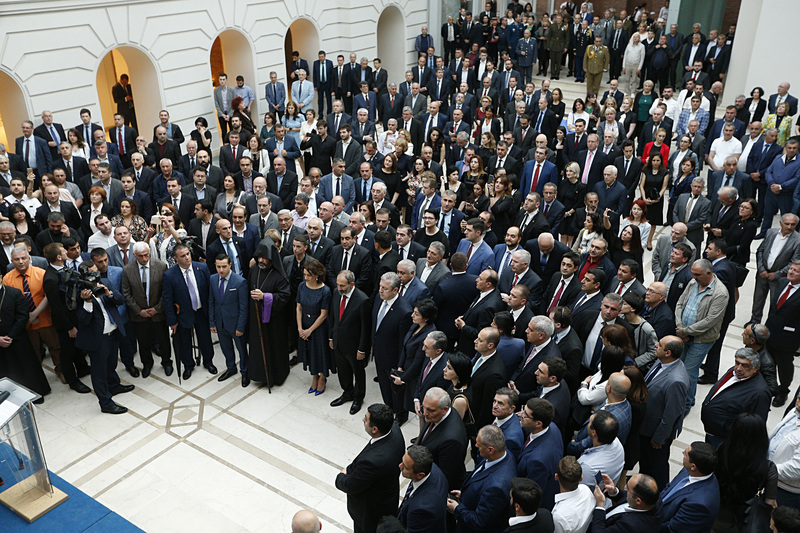 Afterwards Nikol Pashinyan and Georgian Prime Minister Giorgi Kvirikashvili attended the reception dedicated to the 100th anniversary of the First Republic of Armenia at the Tbilisi City Council building. Members of the governments of the two countries, parliamentarians, public, political and cultural figures participated in the event. 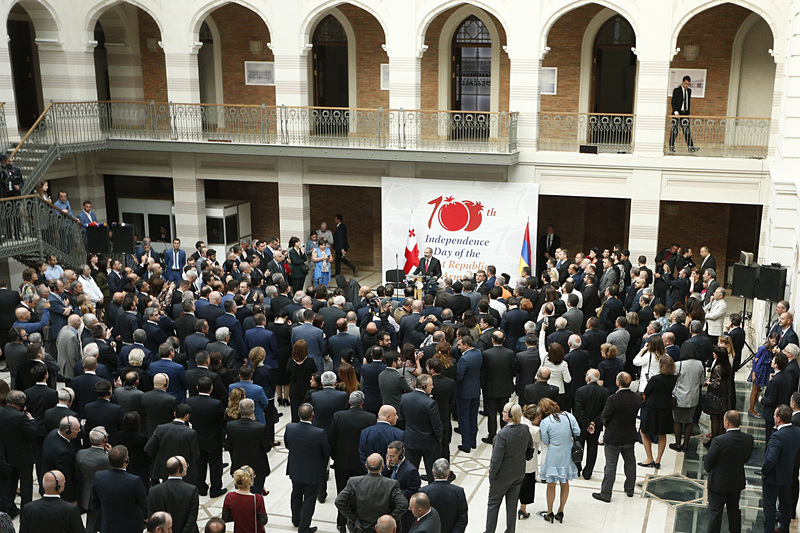 Addressing the attendees, Prime Minister Pashinyan said: “Tbilisi, the capital of Georgia, is truly absorbed by the energy of our peoples’ shared history. Our peoples are rooted in each other, and these roots are so strong that we have a commitment to building history together for a vigorous, happy and free future. The history of the creation of the First Republic of Armenia is the true history of spirit’s victory, because in the political activity, in our daily life we face the following problem: there is a way of thinking that tries to count, assess and weigh, but there is another model of thinking based on our feelings instead. Our history, the history of the Armenian people, the history of mankind has shown that spirit is heavier than matter, love prevails over counting, and sincerity is weightier than dexterity. And this is the primary formula in our people’s living because we have been able to win where we seemed to have no chance and, unfortunately, we have often been able to lose where we did not have a chance to be defeated. Our First Republic, I think, is, first and foremost, the triumph of the spirit, and the spirit of that victory has inspired us for thousands of years in the whirlwind of disasters, genocides and wars. And today’s Armenia is, first of all, a state of spirit, love, solidarity and ideology, which should be fostered forever, because what is material can be broken down, destroyed, annihilated, while what is associated with the spirit, with the mind is indefinable, unbreakable, undefeatable. And I want this spirit, and reckoning or bargaining, to lie at the heart of Armenian-Georgian relations. And we must build relations with our next-door neighbor and fraternal country on that very spirit. Our combined spirit must win, and our peoples will record new victories in their neighborhood and create an atmosphere of shared happiness in a peaceful, free and happy region. And this region should become such. I congratulate you on the 100th anniversary of the First Republic of Armenia. 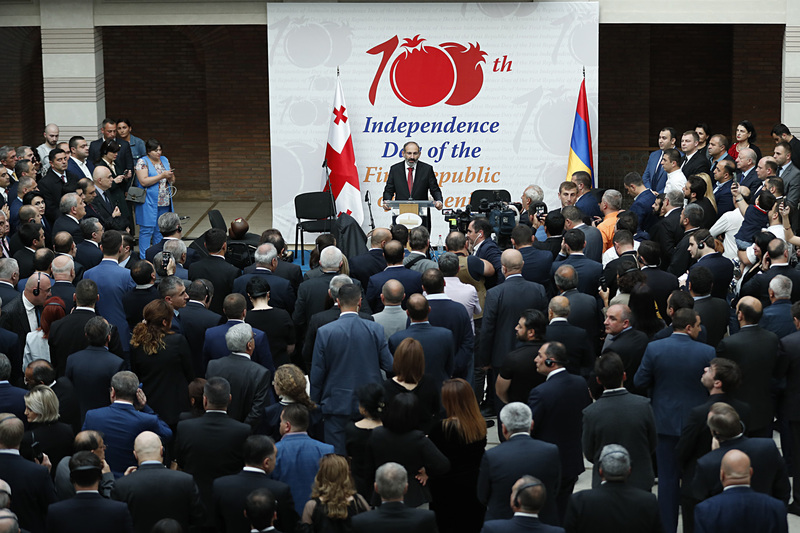 I congratulate the fraternal Georgian people and its government on the 100th anniversary of independence and statehood restoration. I congratulate all of us who have finally reached this haven after going through many ordeals during our long history. And, as the saying goes, our fate is now in our hands, and we will not let it slip; we will not miss this opportunity because we have won, and we will win in the future. 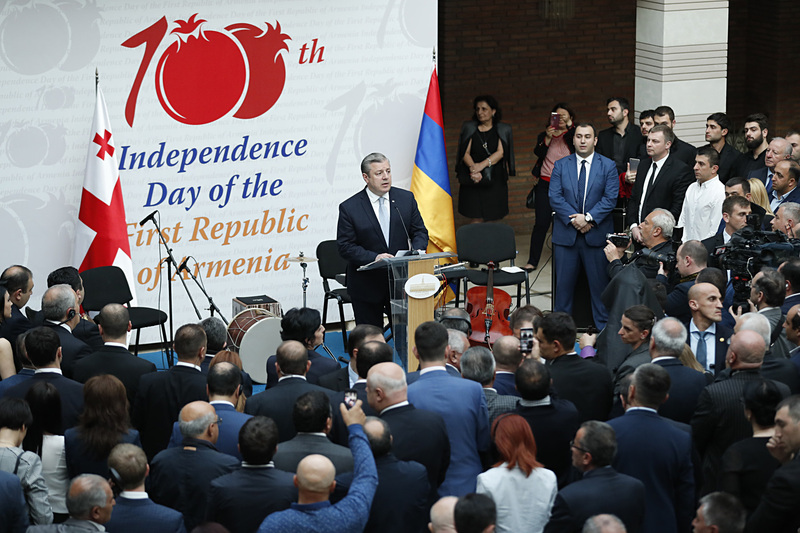 In turn, Georgian Prime Minister Giorgi Kvirikashvili congratulated Nikol Pashinyan and the Armenian people on the occasion of the 100th anniversary of the Armenian First Republic. 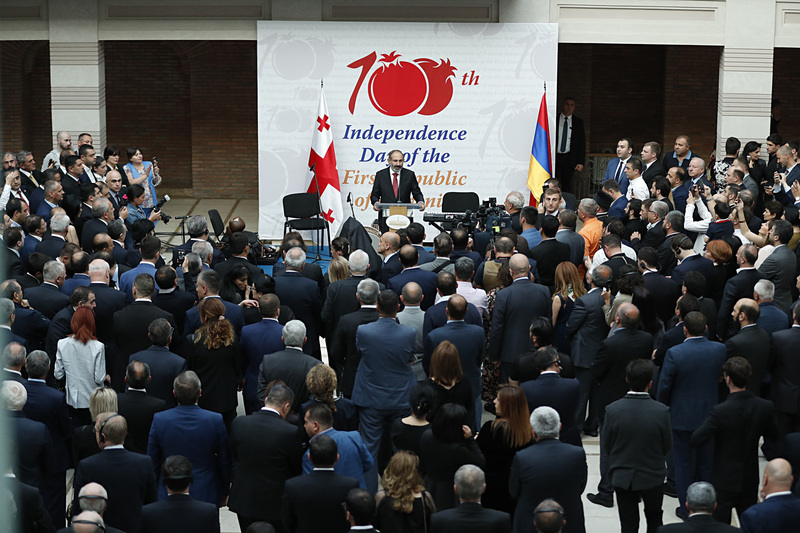 “It is symbolic that 100 years ago Georgia and Armenia simultaneously proclaimed independence. 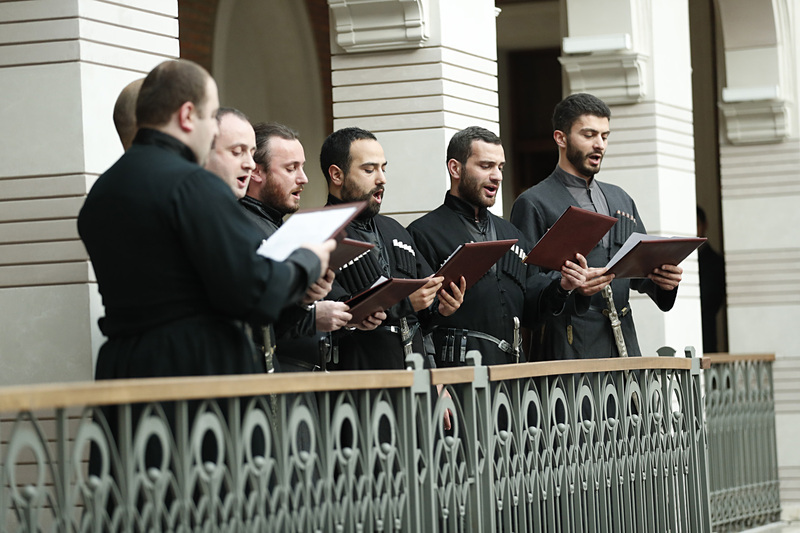 The opening of a memorial plaque in Tbilisi today marks the origins we come from. The Armenian people expressed trust in the principles of democracy, for which they stood up. Following the recent developments in Armenia, the international community welcomed the Armenian people’s wisdom and the ability to peacefully resolve internal political issues. 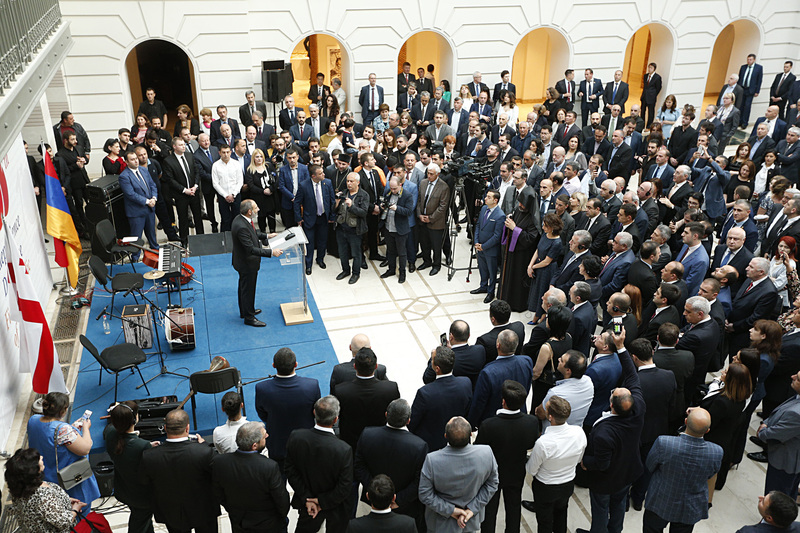 Everything points to the fact that the changes that have taken place in Armenia shall become a solid foundation for Armenia’s further development. Armenia’s development and stability are extremely important for our country in both bilateral and regional terms. I think that this visit is a vivid proof of our partnership and good neighborly relations. Once again, I want to assure that the Georgian government and I are ready for fruitful cooperation. Earlier today, my Armenian counterpart visited the Armenian Church in Tbilisi, the Pantheon. Tomorrow he will call at Hovhannes Tumanyan House scientific-cultural center. Hovhannes Tumanyan’s contribution to Armenian-Georgian friendship is invaluable. As Tumanyan has put it, the Armenian and Georgian peoples are historically linked to one another. 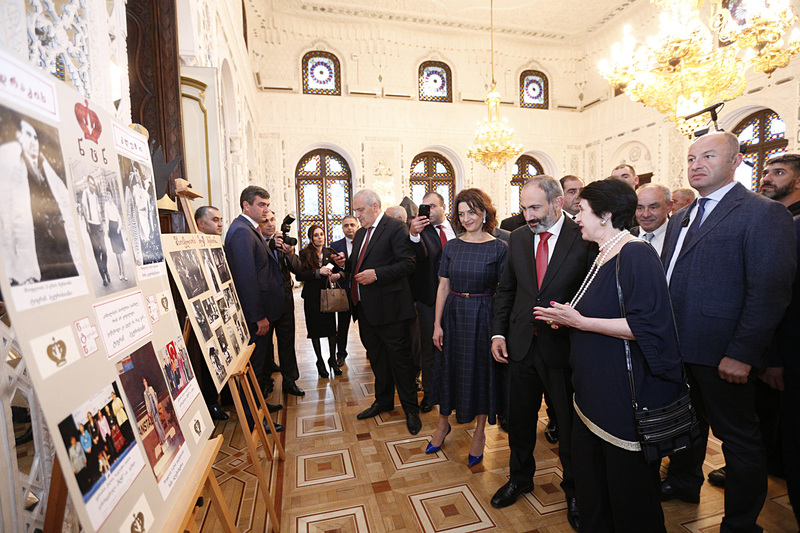 We can state now that Tumanyan’s life has been a symbol of Armenian-Georgian friendship. The friendship reflected in art and literature is our distinctive feature on the map of world culture. Indeed, our bilateral relations are not only based on centuries-old history: we have been able to build up confidence-based interstate relations over the past 25 years. During these years, our bilateral relations have been strengthened in economy, culture and other spheres. 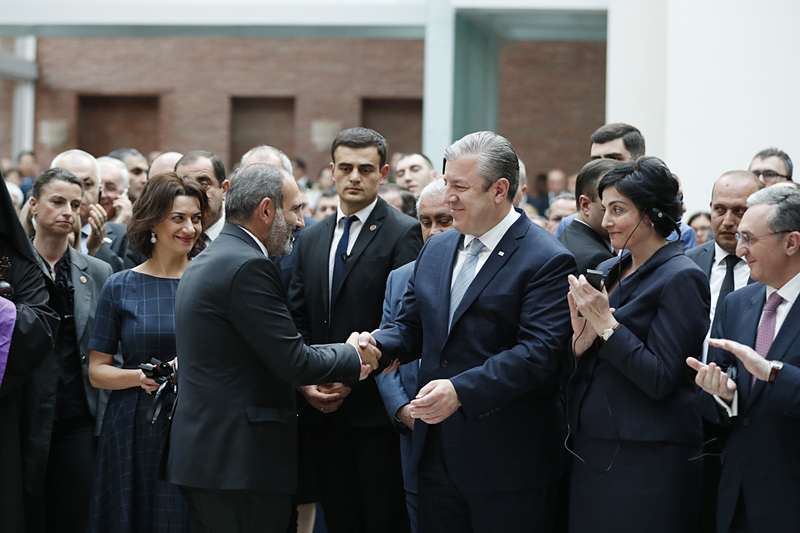 Later, on behalf of Georgian Prime Minister Giorgi Kvirikashvili and Mrs. Maya Tsinadze, an official dinner was given in honor of RA Prime Minister Nikol Pashinyan and Mrs. Anna Hakobyan.